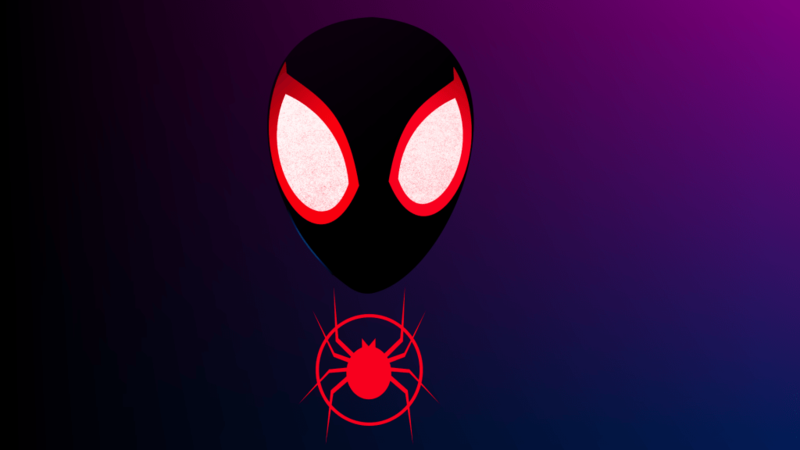 “Spider-Man: Into the Spider-Verse” (2018) is co-directed by Peter Ramsey, Rodney Rothman, and Robert Persichetti Jr., and stars Shameik Moore as Miles Morales, Jake Johnson as Spider-Man, Chris Pine as Spider-Man, Hailee Steinfeld as Spider-Gwen, Nicolas Cage as Spider-Noir, John Mulaney as Peter Porker, and Mahershala Ali as Uncle Aaron. Surprisingly, although few animation films have high approval ratings, this film has a 97% on Rotten Tomatoes and a 94% audience score. Despite this, the film has only grossed $150 million since its opening night, less than “Mary Poppins Returns,” “Fantastic Beasts: The Crimes of Grindelwald,” and “Hotel Transylvania 3.” Why has nobody seen this film? This film probably did not do as well financially for a couple reasons. First, there is a general lack of faith in Sony Pictures to produce good films. Lots of people disliked the “Amazing Spider-Man” films featuring Andrew Garfield, and lots of people dislike recent releases such as “The Emoji Movie” and “Venom.” Given this track record, it is more than likely that audiences are burned out by Sony, and do not trust them to make good films anymore — which has at least some merit behind it. Another huge factor is an unconscious bias against animation as a medium for film. Although there is beautiful animation in film out there, such as from Disney or Miyazaki, I probably could not name an animated film outside of those creators. General movie viewing audiences think that animated films are supposed to be for kids, and are rarely taken seriously amidst the rest of the film landscape. “Into the Spider-Verse,” however, proves through its unique animation style, world-building, score, characters, and themes that animation uniquely brings stories to life. Not only that, the film’s unique style is a metanarrative on the story it is trying to tell. Just as Miles Morales struggles to be unique and be himself because of the burdens of pressing responsibilities that weigh him down, and just as he must learn to find ways to be unique, so the style of the film itself is the most unique animation style in theaters. The main reason this style works so well is because the film feels like you are reading a comic book. The frame rate is slowed down so that characters movements feel more disjointed, as if you were watching a flip book. The film at several points places consecutive adjacent panels to simulate the panels in a comic book. There is a moment where Miles jumps past a moving train, and the film does this in slow motion and uses the flash of the train lights to simulate a comic book panel of Miles in front of the train. Miles at one point has thought bubbles, simulating how characters would talk in a comic panel. The film often cuts to a comic book cover at the start of each new character’s origin story. The film even opens with a seal of approval from the Comics Code Authority, an homage to a group that protested the presence of violence in comic books at the time. The experience of this film fully immerses audiences into the feeling of reading a comic book like no other film has managed to pull off, and this works best with the style of animation they have chosen. Although “Into the Spider-Verse” has a unique animation style, this only enhances the narrative, rather than distracting or detracting from it. The writing for this film is truly excellent, exploring themes of identity, expectations, responsibility, coping with loss, and taking a leap of faith. Miles is still discovering who he wants to be, but feels weighed down by the pressures and expectations of other people. He realizes that the only way to live up to his full potential is to live by his own standards, his own expectations, his own identity. Responsibility is a blessing but also a burden, depending on its source, and this film explores why that is important. Beyond that, we get some important dialogue about how we cope with loss and why we must ground ourselves not in anger or in vengeance but in a confidence of our own identity, as well as by relating to those who have shared that experience. Lastly, the film suggests that the only way to fulfill your potential is to take a leap of faith, something everyone can relate to whenever they are fearful of what lies ahead. Thankfully, the script translates over into excellent characters as well. Each of the characters are given sufficient background and screen time to remain memorable and even to emotionally invest the audience in their goals. Miles Morales and Peter Parker act as foils of each other: while one is too weighed down by responsibility, the other feels no pressure to carry any responsibility and actually flees from his life goals out of fear. They both have to learn to take a leap of faith and are different people by the end of the film. Spider-Gwen initially thought she could shut everyone out, including close friends, but she learns to welcome in friends by the end. Spider-Noir learns through shared experiences to actually feel feelings. The dynamics between Miles, his father Jefferson, and his uncle Aaron feel real and create emotional stakes because none of these characters are perfect, but still have good motivations behind their actions. As for the villains, they act sufficiently in the roles that they are given. In a story that has to introduce six new main characters as well as integrate the concept of the multiverse, it makes sense that the villains get somewhat limited screen time. I will not spoil their motivations, but what we get from the film is more than enough to empathize with their goals, if not at least feel like their presence is a real threat. My favorite shot in the film is a reverse shot of Miles falling off a tall building so that it looks like he is actually rising. This shot is so transformative and visualizes Miles’ arc because while everyone else thinks that Miles is falling, he is rising from his perspective. The moment that people assumed that he would be down and out is actually the moment where he decides to take a leap of faith. Rather than be ruled by fear or self-doubt in his abilities, he takes a leap of faith and trusts that everything will work itself out. As Christians, we can easily latch onto this theme of taking a leap of faith in our daily walks with Christ. Just as Miles must triumph over fear to fulfill his potential, so we as Christians must take a leap of faith towards wherever God is calling us so that we can fulfill our full potential for loving God well and loving others well. The verdict? Go see this film. See it thrice like I did. Even after watching it twice, writing a review about it, and reflecting on it, I still noticed several new details during my third viewing that I did not notice in my previous two. This film is an utter joy and deserves the recognition it has gotten. Upcoming Sony films include Glass, now in theaters, and The Kid Who Would Be King later this year.